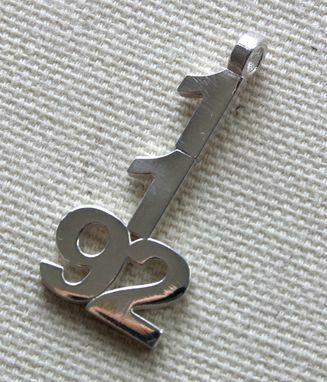 Client wanted a sterling silver charm / pendant of a date that was significant to them. 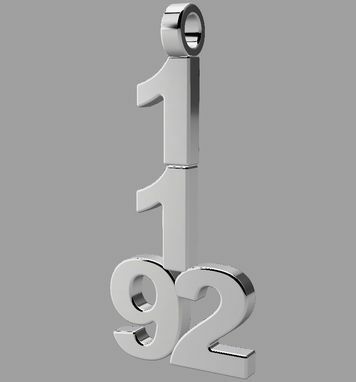 Computer render shows the proposed item along with the finished pendant. Dimensions: Just over an inch in height. my opinion is in between great and not so great!!!!! this item that was made was ok, but an email from third dimension was altiile disconcerting. the maker shared with me he should have made a high proposal because he lost money. the maker did not blame me but that just didn't need to be said.